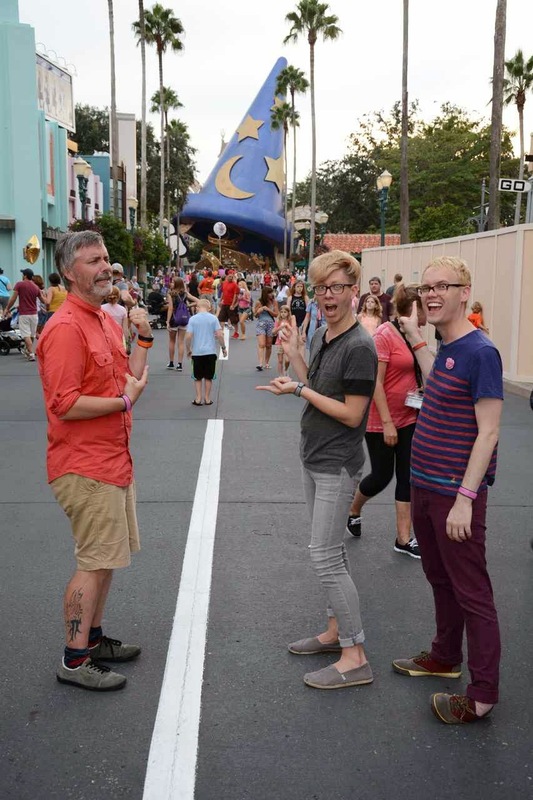 Disney Hipster Blog: Goodbye Sorcerer's Hat! See you in hell. I know that you made some people happy, but you royally pissed me off every time I saw you. Your obnoxious glittery ear things made no logical sense, and your shade of blue was all wrong. Primary colors don't work on most people, and certainly doesn't work at the end of Hollywood Boulevard. Plus, Mulch, Sweat, And Shears plays under you sometimes which makes you even worse for supporting that nonsense. Don't get me wrong, I'm sure all the pin traders will miss your store, and toddler totting parents will no longer have you to shade them in the blistering summer heat. But I don't care about them, at all. I care about sight lines. I'm not sure what is in store for the rest of your park, but I can tell you one thing: the subtraction of you from the overall picture is a huge win. Tell the Spaceship Earth wand that we said hello...actually, never mind, I don't want to open that can of worms. Don't say anything to her. I saw it for the last time today, and I'm glad to see the damn thing go. Your letter to the hat was hilarious. Love the last line about the Spaceship Earth wand, which is no doubt resting beside the castle cake.